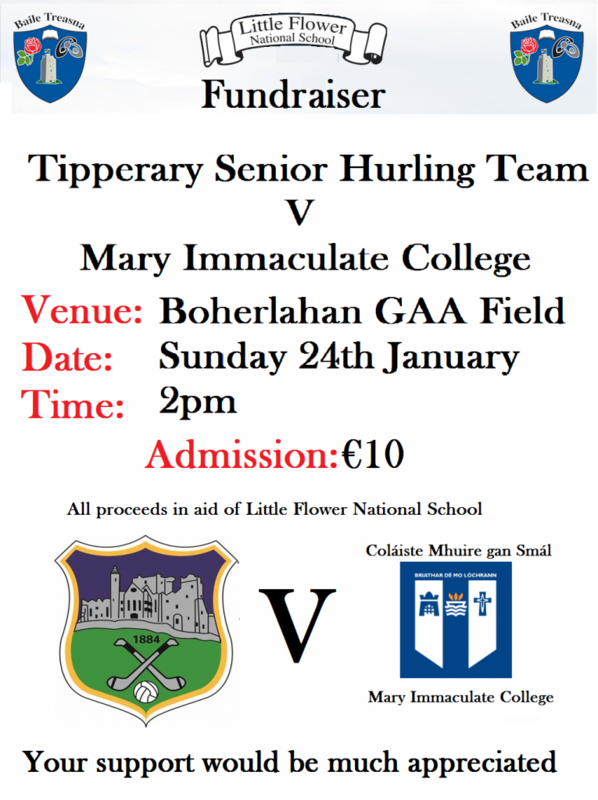 On Sunday 24th of January Tipperary Senior Hurling team will play Mary Immaculate College in a challenge match in Boherlahan Sports field at 2 pm. All players will be available for Photo's and Autographs after the game. Admission €10, proceeds in aid of Little Flower N.S.